It’s common to worry about your home’s safety when you’re not there. When you own a vacation home, this worry can be exponentially worse! As your vacation property is often vacant for long stretches throughout the year, it’s critical you invest in reliable vacation home security. Read on to learn the best ways to keep your vacation home safe – to ensure you can focus on relaxing whenever you visit! A vacation property spends a significant portion of the year unoccupied. Every day your second home is empty, it becomes more vulnerable to burglars. It’s impossible to keep an eye on your primary home every minute of every day – so a vacation property is even more difficult to keep safe! Vacation properties are investments. Let Habitec’s award-winning monitoring protect it! A home security system functions whether you frequent the property or not. It can alert you to any attempts to enter the home. If a breach happens, you’ll know quickly – and so will the authorities. Without a security system, your vacation property could be burglarized, and it may be days or weeks before you would find out. The cost of a monitored security system easily outweighs the costs of a break-in. Habitec’s security systems offer more than just security from theft, too! Environmental risks like flooding, fires or smoke damage can be devastating to your property. You can receive alerts when your vacation property may be vulnerable due to a loss of power or if a fire happens so you can react before it’s too late. If your vacation home isn’t close to your primary residence, you may feel like it’s difficult to check in from time to time. Video surveillance is the easiest solution to this problem! With video surveillance, you can keep an eye on your property from anywhere in the world. In addition to capturing potentially suspicious people, you can remotely access most security cameras to reassure yourself everything is okay at the property. Worried about a recent weather alert, like a flood or a storm? You can take a few minutes to view your property and confirm everything is okay! Security cameras can also help you in issues of liability or insurance. Many insurance carriers offer discounts for any steps you take to further secure your property – and claims of natural damage or theft can process far quicker with video evidence. In addition to using a timer, you can control lights occasionally throughout the day to simulate activity. This makes your vacation property look lived-in no matter where you may be. Burglars will always prefer an empty home, so this simple trick can go a long way to improve your vacation home security. Anxiety about locking your property can be paralyzing. With smart locks, you can check to make sure your points of entry are locked and secure. In some cases, you can even manage them remotely to lock a door you forgot, or to allow friends or family in when they don’t have the key! Your vacation home may still get some visitors throughout the year. Whether they’re legitimate or not, you want to know who’s at your property! A remote door bell camera, like our Video Doorbell Camera, can let you be at your door even if you’re on the other side of the country! See who’s at the door or even respond to find out what they want and make it appear as if you were home. Poorly-maintained lawns, shrubs or porches can make the property look abandoned and safe for burglars to enter. A quick glance at overgrown grass or a stuffed mailbox is a spotlight on an empty property. It’s not always feasible to keep your lawn cared for and the exterior maintained. If your additional properties are too far to manage yourself, hire a maintenance company. Your neighbors will appreciate it, too! Many families rent their extra properties in the off-season or when they don’t plan to use it. This is a great way to offset the costs of owning an additional property, but you need to be careful how you advertise. One of the easiest ways to find renters is putting a sign out in front of the property. 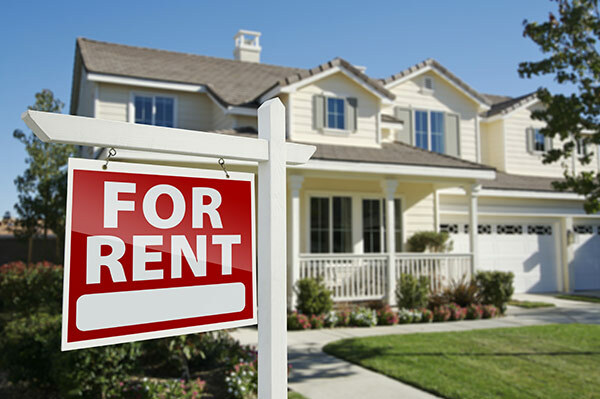 However, a “For Rent” sign is a spotlight that tells thieves the property is unoccupied. Likewise, sophisticated thieves will use online rental listings to build a list of properties to investigate. If possible, avoid listing your property’s address publicly – and only share this information with those who reach out to you. No matter how hard you try, there are some valuable items you need to leave at your rental property full-time. Electronics or decorations can be popular items to steal, so it’s important to take stock of what’s at the property! In the event of a theft, your insurance company will want to know as many details as possible. An up-to-date list of your valuables can help you recover anything lost due to damage or theft. Don’t just keep note of their names, either. Brands, features, SKUs, costs and other identifying facts will help you recover exactly what you lost when dealing with insurance. The more specific, the better! After you take steps to improve your vacation home security, don’t forget about your primary residence too! When you’re ready to rest and relax in your seasonal home, read our tips for keeping your house safe while traveling!